How is Sony following up the record breaking console launch from day one? By surpassing the 2.1 million unit mark sold to customers, that’s how! Sony reported as of December 1st the PlayStation 4 has sold to customers (not retailers so it’s an accurate representation of actual units sold) 2.1 million units. This number includes 700,000 sold in Europe and Australasia. Keep in mind on February 22nd the console is still set to be released in Sony’s home turf of Japan. Jack Tretton’s original prediction of 3 million consoles sold by the end of the year is definitely feasible. Big games such as Watch Dogs and Infamous: Second Son are releasing next year which should help bolster sales even more. It’s been a while since I gave you guys an update on where I’m at in Final Fantasy XIV. I think the last time I wrote I was in the middle of what is still considered the be the “end-game.” I’m sad to say I haven’t made much progress. Over the last month I really lost the drive to do any end-game activities like push to progress into an overly difficult raid tear, or repeat the same dungeons ad nauseam. FFXIV’s biggest failing in my eyes has been its attempt to try and fit a mold. Players have been conditioned for so many years to look for certain things like raiding and gear treadmills. When those things aren’t present, the players think that a game without them can’t possibly exist. By creating a game that appeals to that demographic, they closed the door on a demographic that I belong to: The people who simply don’t give a [...] and just want to log in and have fun doing something that’s simple to jump in and jump out with friends. That’s why I play themepark MMOs. A big question I’ve been kicking around in my head is whether or not FFXIV is a 3 monther. There are MMOs created with massive design flaws and are destined to be 3 monthers. Then there are games like FFXIV that didn’t have to be 3 monthers, but fell into that category due to a lack of things to do at the end-game. So yes, FFXIV is technically a 3 monther. The development of new content has been really slow coming. I think it’s been a month of sitting around wishing they would add something I want to do. That’s an important distinction to make. There are some 3 monthers where I simply lose all desire to play the game. In FFXIV’s case, I definitely want to keep playing but I want to do things that sound fun to me. I came up with a bunch of ideas like Gold Saucer, Chocobo Races, and content like FF Tactics. I’ve even talked about wanting to fly around in an airship and control it with friends. While those things may eventually come, they aren’t coming quick enough. Thankfully housing comes in like 2 weeks. That will bring a much needed change of pace for me. Instead of logging in each day to simply craft and make money, I can log in and decorate my guild’s house and have ways other than combat and dungeons to interact with my friends. I’m hoping for more activities that feel like Final Fantasy, and less that feel like they are designed simply to keep the raiders playing. FFXIV isn’t a very good raiding game, I think it should stop trying to be one. Despite any current success it may enjoy, going down this path for too much longer will lock them into a short-term strategy from which they can’t recover. My fingers are crossed that the upcoming major patch changes things up enough that I want to play alts, work on a house, and feel like I’m playing Final Fantasy. I want a Final Fantasy world where players want to simply ‘exist’ instead of ‘play-through’ everything. Let’s see, we’ve got emo Harry Osborne, mecha-Rhino, Jamie Foxx as blue raspberry Electro, and Andrew Garfield’s hair. That’s far too many villains for one movie. Did we learn nothing from the lesson of Spider-Man 3? There is far too much going on in this trailer — I can only imagine the chaos that will be the actual film. At least we’ve still got the charmingly-awkward Peter and Gwen dynamic going on. Maybe we’ll get lucky and they’ll kill her in this one! Can we just give the property back to Marvel already? League of Legends stepped up its game as an eSport in 2013. More than 30 million people watched the World Championship finals, and it became the number one online game in many countries, including South Korea. After such a strong year, it’s no surprise a video with the best moments of the season would be intense. It has been announced that the beta of the exploration platformer Starbound will be available on December 4th. It has also been confirmed that it will be available for purchase through Steam’s early access program starting from $15, and that it’ll be available across all three platforms: PC, Mac, and Linux. 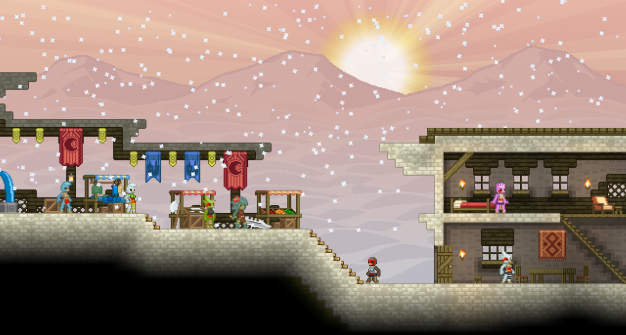 More details on the Starbound beta can be found right here. 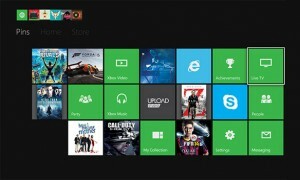 The Xbox One Dashboard is similar to the recently updated Xbox 360. There are three main screens: The left shows stuff you can pin, the middle section is anything you have accessed recently (like a history), and the right is the Game/Music/Video store. The dashboard right now feels somewhat bland, having just a solid black background. We had a similar complaint with the PS4 because there doesn’t appear to be a way to customize it yet. Finding things can be confusing because some of the options feel a little buried. Multitasking, a new feature, is a little unclear. If you have something going through HDMI pass-through you can play a game, then ‘snap’ TV onto the screen to watch both and play at the same time. I don’t know what combinations can be multitasked. For example, we’re not sure yet if you can multitask Netflix with a game. We were excited to be able to connect our DISH Network through the Xbox One in order to be able to utilize the picture in picture. We detected a slight difference in visual quality — negative or not, there was a difference. The big negative with pass-through is that you must always have your Xbox One on when utilizing the device passing through. That means in order to watch DISH or use the Wii or whatever is passing through, the Xbox must be on. The pass-through for DISH worked perfectly, though. It detected the Samsung TV we have (old model) and we were able to adjust the settings. We told it our area code, provider, and it was able to completely control our satellite unit. It could pause, fast forward, and manipulate our DISH just like we can with a remote. The Xbox One utilizes Xbox branded menus for everything if you choose to use your Xbox One instead of a normal remote. In the end, it doesn’t seem like it’s anything worthwhile enough to make the Xbox One the center of our entire entertainment experience. If the Xbox One could be turned off, we would have kept the pass-through. The Kinect 2.0 is able to identify both of us quite easily, and log us into our respective Xbox Live Profiles. The head tracking and face tracking was really quite good. There wasn’t an ounce of calibration beyond microphone adjustment. The voice commands seem…. ‘good’. We can’t say great because we have already had to repeat ourselves twelve dozen times to get them to work. Voice commands can control our DISH TV though — that was pretty cool. We will do a more formal revue of the Kinect 2.0 when we can experience more games utilizing the features. The new Xbox controller is heralded by Microsoft as the best controller they’ve ever made. We’re not so sure it’s better than the Xbox 360. The analog sticks feel a little loose and should have more resistance. The bumper buttons are hard to press unless you click them square in the center which is hard for someone with longer fingers. The D-Pad feels very cheap, although when in-game it does perform as they claim: Ultra-responsive. We’re divided on the triggers. Keen loves them, especially when you pull them quickly and feel the impact when they stop; Graev wishes they had more resistance. Two new buttons are now on the controller: Multi-task and Menu button. We’re not quite certain yet why the typical Start and Select buttons were removed in favor of these new options. 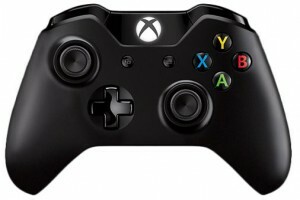 Xbox One Controller vs. DualShock 4 – Who wins? We will continue to bring you are impressions of the Xbox One and its games this coming week. Two-button fighter Divekick is coming to the Xbox One. 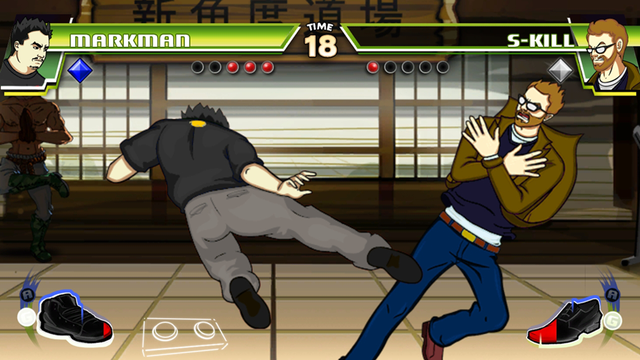 Two-button fighter Divekick is coming to the Xbox One. Buried at the bottom of a long list of developers self-publishing via ID@Xbox, Dave Lang of Iron Galaxy confirmed the scrappy title for Microsoft’s latest console. I say absolutely yes. I actually like NPC merchants — even in a player-driven economy. In fact, I think merchants should sell decent gear and items to players. Early Dark Age of Camelot handled this quite well. Players made the best stuff, and occasionally a good item would drop from dungeons, but players more often than not sold and marketed the best items. If the weapon sold by a merchant was lower quality, maybe it breaks quicker or does slightly less damage. Maybe it can’t be repaired fully, and slowly loses permanent durability over time. The idea of merchants can really be taken further. What if certain merchants allowed players to put up items on consignment depending on that player’s crafting or merchant status. Star Wars Galaxies’ merchant class had great tools to utilize both public and private merchant and auction services. One of the best things about the original EverQuest was being able to find hidden gems on merchants in town. I would always do a quick check of the merchants in my class training area. Sometimes you’ll find bone chips, bat wings, and other spell or quest reagents. One man’s trash is another man’s treasure! There’s even the rare occasion where I was able to find magical dungeon drops just sitting on a vendor because someone just sold it to the vender to get rid of it. So yes, merchants are awesome.